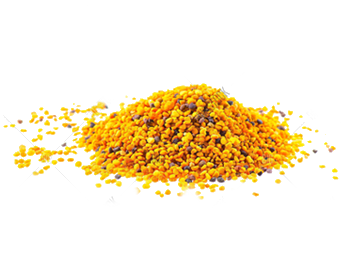 Bee Pollen is considered one of nature's most complete nourishing foods containing almost all nutrients required by humans. Bee pollen contains vitamins, minerals, carbohydrates, lipids and approximately 40% protein. About half of its protein is in the form of free amino acids, ready to be used directly by the body. Cultures throughout the world use Bee Pollen in a variety of applications. In Chinese medicine it is considered an energy and nutritive tonic. *.